“A Cash-Grab Cooked Up By the Crepe Paper Industry” – Douglas agrees to babysit the kids on Valentine’s Day, but when Graham finds himself in a Valentine’s Day emergency and Big Red shows up unannounced, Douglas and Big Red band together to help Graham. 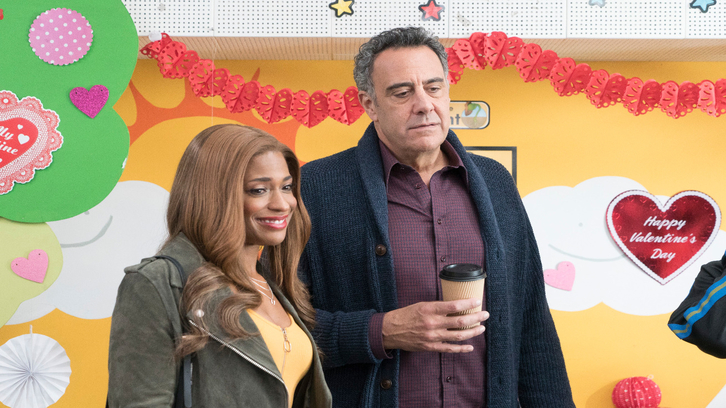 Meanwhile, Will and Miggy celebrate “Palentine’s Day” together – a day honoring the love of two friends – but when they run into Angie at her second job, they help her finish her deliveries so she can be with Owen on Valentine’s Day, on an all-new episode of “Single Parents,” WEDNESDAY, FEB. 13 (9:31-10:00 p.m. EST), on The ABC Television Network, streaming and on demand. Guest stars include Rebecca Creskoff as Big Red, Jackie Seiden as Jackie and Steve Zissis as Mark. “A Cash-Grab Cooked Up By the Crepe Paper Industry” was written by Bridger Winegar and directed by Kat Coiro.